NADI, Fiji -- Authorities say a magnitude 7.2 earthquake hit near the Fiji Islands, causing a tsunami warning for parts of the Pacific Ocean. The U.S. Geological Survey says the earthquake hit a part of the ocean about 227 kilometers southwest of Nadi. The agency says the quake is 10 kilometers deep. Radio New Zealand reports that people have been evacuating Nadi since the earthquake. Nadi, on Fiji's main island, is a city of about 42,000 and a hub for tourism. 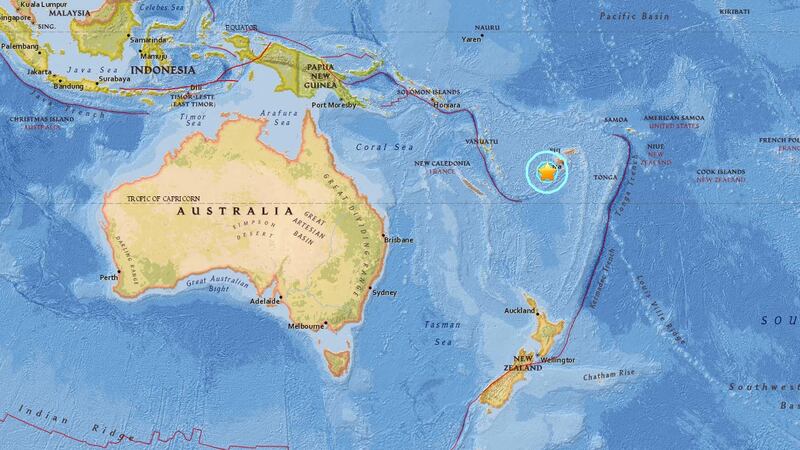 The agency says a tsunami warning has been issued for parts of the Pacific located within 300 kilometers of the quake. But no such warning has been issued for the Hawaiian Islands.